Palestinian Authority Arab terrorists in Gaza attacked southern Israel repeatedly Monday, firing gunshots and rockets across the border. Shortly after 9:00 p.m., terrorists launched a rocket attack aimed at the Israeli coastal region. 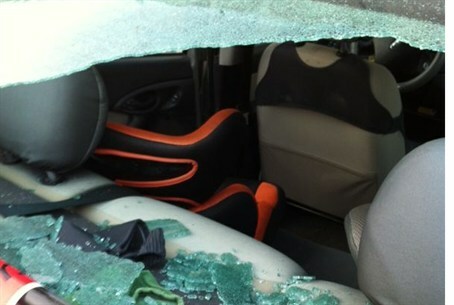 The missile exploded in the Ashkelon Coast Regional Council district. No one was physically injured, although several people suffered anxiety and those with post-traumatic stress disorder (PTSD) had symptoms triggered as a result. Just an hour earlier, shots were fired from the direction of Gaza at the Yad Mordechai junction. A police spokesperson said the gunfire struck a vehicle as well as the wall of a restaurant. No one was physically injured, police reported, and said an investigation had been launched. IDF soldiers later returned fire targeting the source of the gunfire, in Gaza, the IDF Spokesperson's Unit said. During the afternoon, Gaza terrorists near Khan Younis fired an anti-tank missile at a group of Israeli farmers working near the border at a kibbutz in the Eshkol district. The missile exploded in a field near the farmers and their equipment, next to the security fence. No one was physically injured, and no property damage was reported, officials said. PA sources in Gaza later claimed the IDF returned fire, moderately wounding one terrorist.